$369,900. 6884 Wellington Dr., Dexter. 2535 square feet with 4 bedrooms and 2.1 baths. $369,900. 3523 Lexington Cir., Dexter. 2199 square feet with 4 bedrooms and 2.1 baths. $348,900. 6963 Wellington Dr., Dexter. 2103 square feet with 3 bedrooms and 2.1 baths. $329,900. 3607 South Downs, Dexter. 1956 square feet with 4 bedrooms and 2.1 baths. $328,000. 521 Coventry Cir., Dexter. 2057 sq. 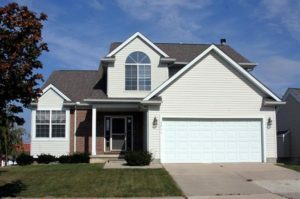 ft., + 800 in finished lower level, 4 bedrooms and 2.1 baths. $275,000. 3612 S. Downs Dr., Dexter. 1408 square feet with 3 bedrooms and 2.0 baths. Last year at Dexter Crossing, 19 homes sold with an average sale price of $304,542 and an average price per square foot of $178.00. The 8 homes sold this year have an ASP of $332,438, up 9.2%, and an A$/SF of $171.00, down 3.9%. To learn more about home values at Dexter Crossing, contact the real estate specialists with The Bouma Group at (734)761-3060 or email info@bouma.com. View more Dexter neighborhoods here!